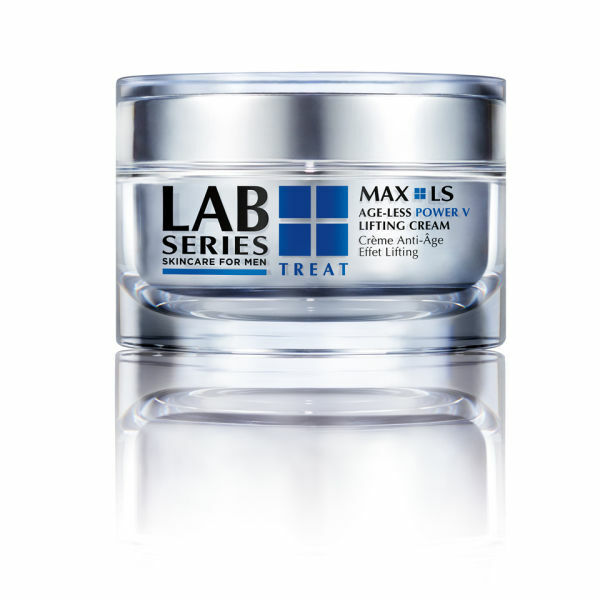 Contradict the laws of physics with Lab Series Max LS Power V Lifting Cream, a high-tech, anti-ageing treatment that defies gravity and redefines mature skin. Combining Lab Series LS Power V Technology™ with Molecular Age-Less Complex™, the innovative formula works to counteract the signs of ageing, firming and lifting the skin whilst boosting moisture levels for a younger looking, revitalised complexion. Supporting natural collagen production to re-elasticise skin's texture, the advanced solution sculpts and defines, tightening skin around the jawline whilst diminishing the appearance of wrinkles. 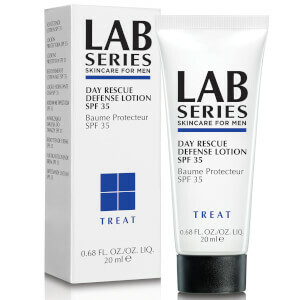 Expect lifted, younger looking skin with maximum hydration. - K.N. Apply to face and neck every morning and/or night. Water\Aqua\Eau, Isononyl Isononanoate, Paraffin, Dimethicone, Butylene Glycol, Glycerin, Octyldodecanol, Methyl Trimethicone, Lauryl Peg-9 Polydimethylsiloxyethyl Dimethicone, Nylon-12, Acetyl Glucosamine, Hydrolyzed Oat Protein, Whey Protein\Lactis Protein\Proteine Du Petit-Lait, Coleus Forskohlii Root Extract, Citrullus Vulgaris (Watermelon) Fruit Extract, Acetyl Hexapeptide-8, Lens Esculenta (Lentil) Fruit Extract, Palmitoyl Tetrapeptide-7, Pyrus Malus (Apple) Fruit Extract, Pisum Sativum (Pea) Extract, Coffea Arabica (Coffee) Seed Extract, Bambusa Vulgaris (Bamboo) Extract, Polygonum Cuspidatum Root Extract, Myrtus Communis Leaf Extract, Laminaria Digitata Extract, Silybum Marianum (Lady's Thistle) Extract, Vaccinium Macrocarpon (Cranberry) Fruit Extract, Vaccinium Angustifolium (Blueberry) Fruit Extract, Lycium Chinense (Wolfberry) Fruit Extract, Sigesbeckia Orientalis (St. Paul's Wort) Extract, Astrocaryum Murumuru Seed Butter, Artemia Extract, Ergothioneine, Creatine, Palmitoyl Oligopeptide, Hydrolyzed Rice Extract, Disodium Adenosine Triphosphate, Niacinamide, Biosaccharide Gum - 1, Isohexadecane, Yeast Extract\Faex\Extrait De Levure, Trehalose, Caprylyl Glycol, Tocopheryl Acetate, Sodium Pca, Caffeine, Glycyrrhetinic Acid, Sodium Hyaluronate, Laureth-3, Glucosamine Hcl, Polypropylene, Hydroxyethylcellulose, Acetyl Dipeptide-1 Cetyl Ester, Carbomer, Sodium Lactate, Magnesium Sulfate, Silica, Polyethylene, Polysorbate 20, Triethoxycaprylylsilane, Fragrance (Parfum), Citric Acid, Disodium Edta, Phenoxyethanol, Mica, Titanium Dioxide (Ci 77891).